HomeCinemaMasalaAkshay Kumar’s fan clubs across India do social work on the occasion of the actor’s 50th birthday! 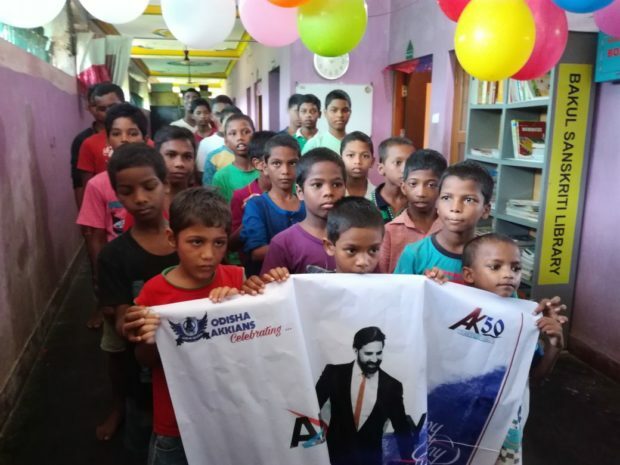 Akshay Kumar’s fan clubs across India do social work on the occasion of the actor’s 50th birthday! Akshay Kumar, who started as an action star and later proved his forte in comedy, is nowadays known for doing socially-relevant films and also socially relevant work. This change of image has worked big time for him and has also impacted his fans. Hence, on the occasion of his 50th birthday, his fan club members didn’t party among themselves or came to Mumbai to stand outside his house. They instead, just like their idol, decided to give back to the society. 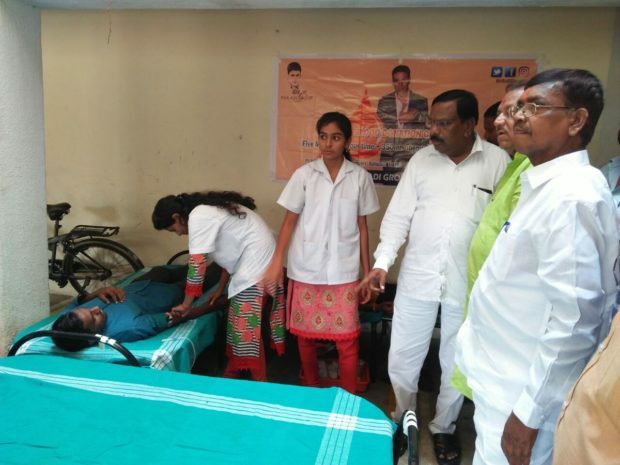 On September 9, the day Akshay Kumar, a fan club named ‘Akola Akkians’, based in the town of Akola, organized a free health check-up camp at the busy S T bus stand of Akola. Two images are out that features passengers queuing up at the camp. 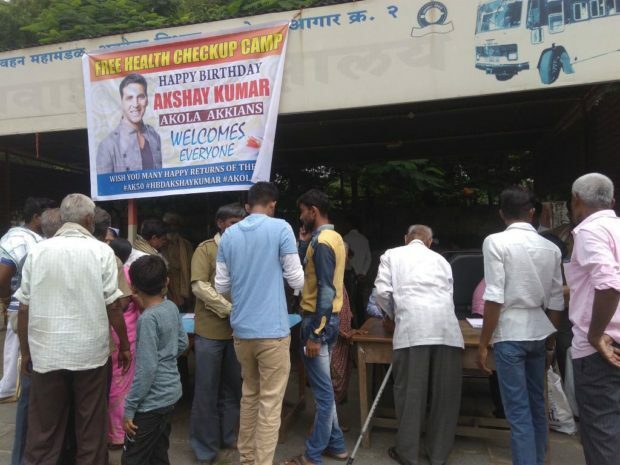 A poster is placed on top that features the name of ‘Akola Akkians’ and gives the details about the free check-up initiative and also that it’s held on the occasion of Akshay Kumar’s birthday. 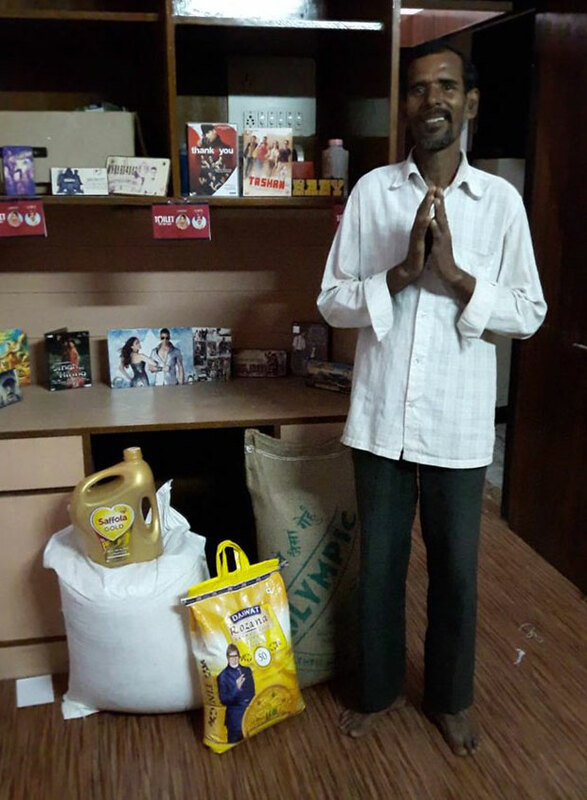 Meanwhile, a fan club called ‘Puneri Akkians’, comprising of his fans in Pune, donated snacks and books at an orphanage. So touched was Akshay Kumar with this gesture that he replied to them on Twitter saying, “Extremely touched and proud of you all. Thank you so much”. The Akshay Kumar fans in Odisha also did something similar. They went to an orphanage and served lunch to the kids. They also donated a packet of rice. Akshay Kumar’s reply to them was, “Appreciate all your love and efforts thank you”. 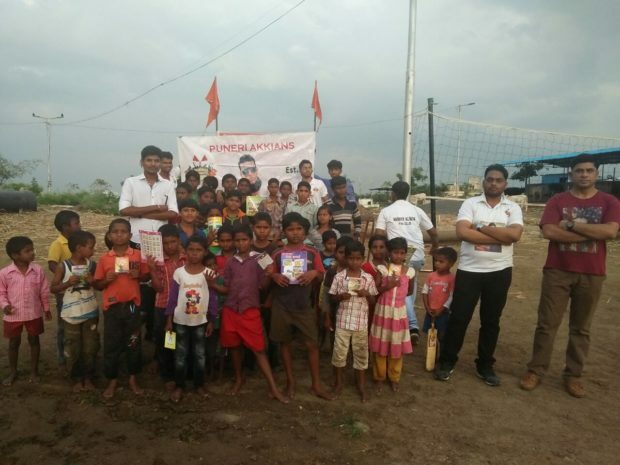 The fans in Ranchi, from the group called ‘Ranchi Akkians’ too embarked on an orphanage where they distributed sports material, clothes etc and also cut a cake bearing the picture of their Akshay Kumar. The superstar replied to them in Hindi and it said “Thank you so much for your love and wishes”. 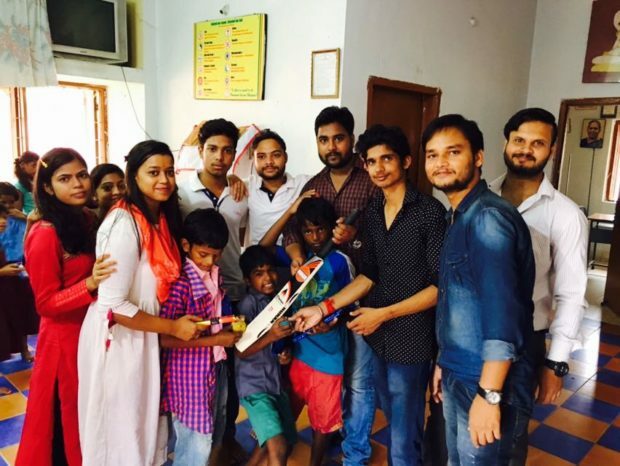 A fan club called ‘Khiladi Group’ based in Solapur donated blood on this joyous occasion. “Love and prayers always. Thank you :),” was the reply to these fans from Akshay Kumar. When Sanjay Dutt Appealed to Apoorva Lakhia to Postpone his film!